A new open source controller has been created called the I²CDriver by Excamera Labs, specifically designed to provide easy control over I²C devices. Watch the demonstration video below for a overview of what can be accomplished using the new controller. I²C is Everywhere It’s in every phone, in your embedded electronics, in every microcontroller, Raspberry Pi, and PC motherboard. It’s a mature technology – still going strong after 36 years. Because it’s everywhere, I²C is used by everyone from novices to embedded designers. “But the common element of everyone’s I²C experience is struggle. Instead of being easy, I²C very often feels really difficult. Because there are so many ways for I²C to go wrong, things rarely “just work” and instead involve some painful debugging. 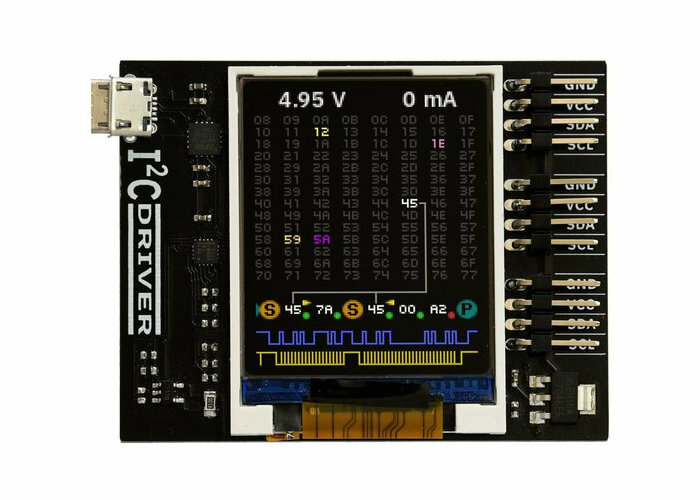 For more information on the new I²CDriver jump over to the Crowd Supply website where a campaign is running to raise the required funds to take the controller into production. Pledges are available from $29 for the core with worldwide delivery expected to take place around March 2019.